It is the start of a new year 2014, and Premier has just purchased a new CNC Okuma Lathe to machine aluminum die castings with exacting precision on a high volume part. The new lathe was purchased as added capacity for a long time customer who requires the die castings machined to such a tight tolerance that 100% air gauging is needed to verify a critical main bore. 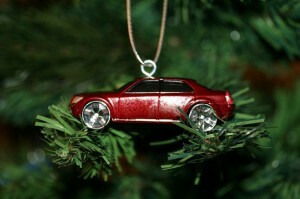 Merry Christmas from Premier Die Casting! The most wonderful time of the year is here, and the big day is coming fast! We’re just as ready as anyone to open our presents and spend time with family and friends this Christmas. And you can’t forget all of the great Christmas traditions—one of them being decorating the tree! Did you know that about 30-35 million real Christmas trees are sold in the U.S. each year? And decorating them is great fun for everyone, especially when you choose which ornaments get placed on the tree. Some are homemade crafts, and some are store-bought. UntitledThere’s no question that the die casting industry in the U.S. is among the highest quality in the world. Our high standards and devotion to a quality product make the U.S. industry the place to go for anyone here—or across the globe—who’s interested in die casting services. With the incredible advancement of technology over the past decade—even the past couple years—it’s not surprising that things originally made for commercial use are now making their way into the home. After all, it wasn’t that long ago that computers were a rare sight in the average person’s house. Now, it’s weird not to see one. Happy Thanksgiving from Premier Die Casting! The last week of November has finally come! And although many people are already playing their Christmas music, we at Premier Die Casting want to be sure we don’t forget about Thanksgiving. But before you feast on that turkey, stuffing, and pumpkin pie, here are some interesting statistics about Thanksgiving that might have you viewing it a little differently this year.